Amazon’s dishing out software deals this week designed to help you get your digital life in order for the new year. Yesterday, it was personal finance software, today it’s a great deal on antivirus software. A one-year subscription to Norton Security Deluxe for up to five devices is just $15 today, for the downloadable version only. Norton is currently charging $40 for new customers for the same suite. Amazon’s price, meanwhile, is at its all-time low for this security suite and the first time it’s dropped under $20. Norton Deluxe is one-tier below Norton Security Premium, which we recently reviewed and absolutely loved—aside from the price. 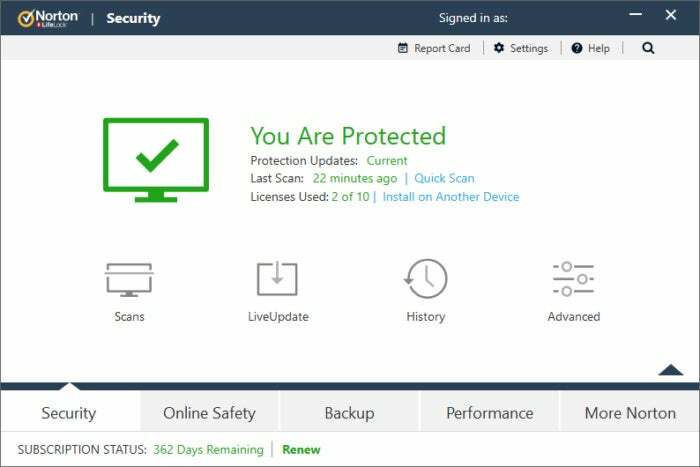 Deluxe offers many of the same antivirus and security features as Premium but lacks the higher tier suite’s parental controls, automatic back-up, and cloud storage. It has the same interface as Premium, which is very simple to understand and offers easy access to all the key features. The only downside is that Deluxe only covers 5 devices, compared to Premium’s 10. Still, for a smaller family with only a few devices or one that wants to just cover PCs and Macs, Deluxe is an excellent choice.